Many patients who suffer from pain or chronic illnesses often find it difficult to find an effective remedy to address their health problems and enjoy a fuller life. The use of cannabinoid medications is supposed to address this challenge. And it’s the goal of BMAC to provide convenient and discreet access to natural premium-quality cannabis that helps Los Angeles patients get relief from debilitating illnesses and live better and happier lives. 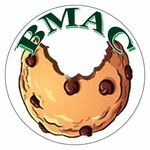 By offering mmj strains and cannabis-infused products that are organically grown and developed at the most reputable farms, BMAC helps customers find a natural but still effective alternative to conventional medicines. The knowledgeable and experienced staff will help you to sort various strains out and provide a consultation on the matter of choosing the medication that will match your needs best.